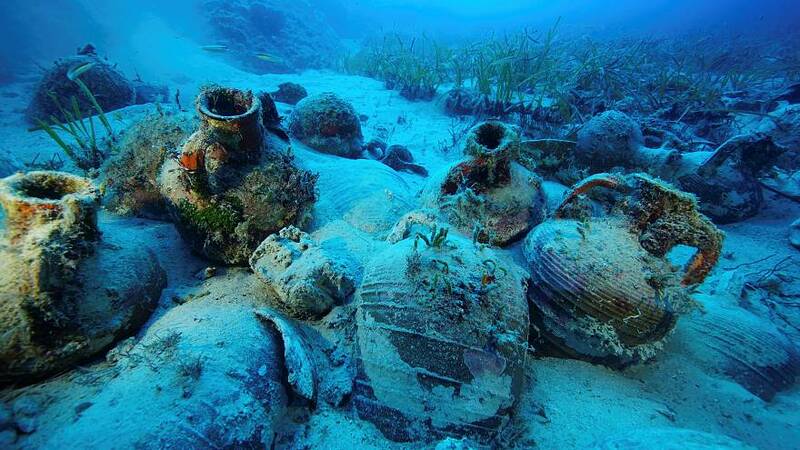 Almost 60 shipwrecks dating from ancient Greece to the 20th century have been found in the Aegean sea. Thought to be the biggest discovery of its kind in the Mediterranean, divers stumbled upon the find while conducting an underwater survey by the small island archipelago of Fournoi. The remains of the 58 ships are laden with treasures and antiquities, most spanning the Greek, Roman, and Byzantine eras. “The excitement is difficult to describe, I mean, it was just incredible. We knew that we had stumbled upon something that was going to change the history books,” said underwater archaeologist and co-director of the Fournoi survey project, Dr Peter Campbell. “I would call it, probably, one of the top archaeological discoveries of the century,” he added. Over 300 objects, most of them amphorae (plural of amphora) – ancient Greek or Roman jugs – have been recovered from the shipwrecks.